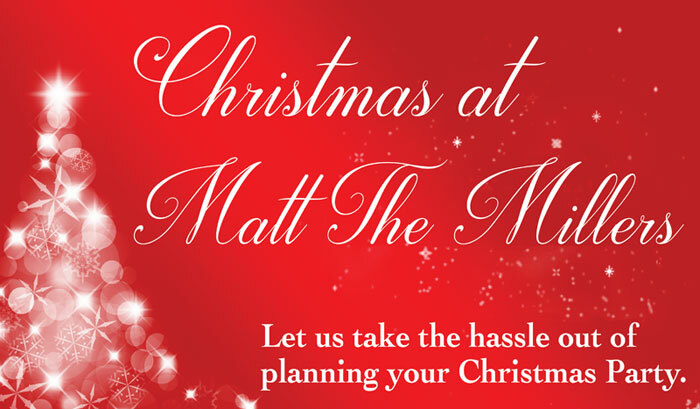 Here at Matt’s, we pride ourselves on making sure your Christmas Party is both festive and hassle-free. We have a wide range of Christmas Party options, from finger food, lunch, dinner to an all night party. With live music 7 days a week, we have all the bases covered at Matt’s, you just have to let us know what you need. Book our Christmas Party Package or design your own. We can tailor our service, team and specialised A La Carte Menus or finger food menus around your preferences and requirements. Remember everything is possible! Our package is fully customizable to your needs. We can accommodate for any group size up to 130 people, and if you would like to book out the whole premises we can cater for much, much larger groups. A lovely corner bar overlooking the bridge, river and the Kilkenny Castle we had some lovely soup for lunch and a couple pints. Full of character and we when back later at night for some great live music.